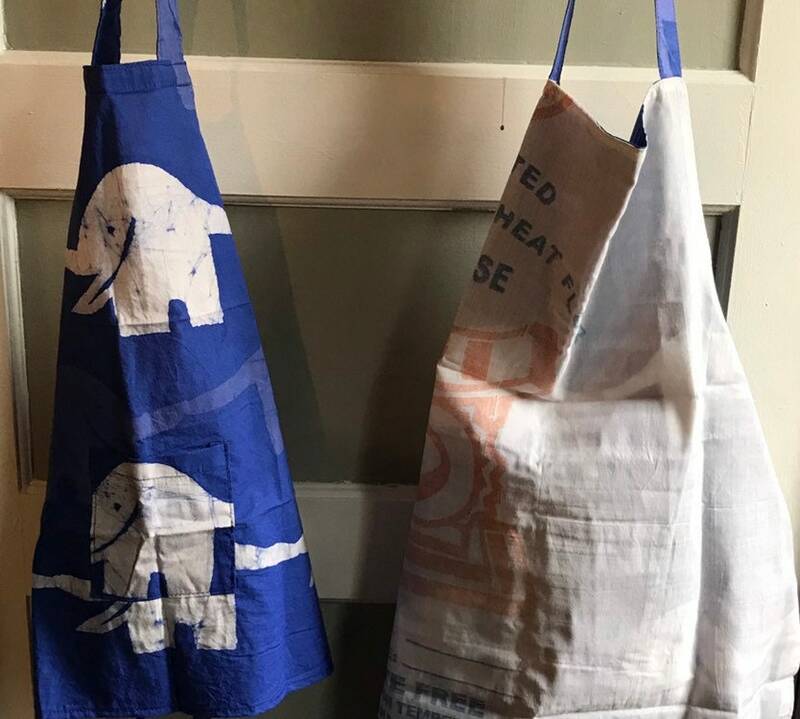 Certified Organic Cotton Elephant Aprons for kids & adults. 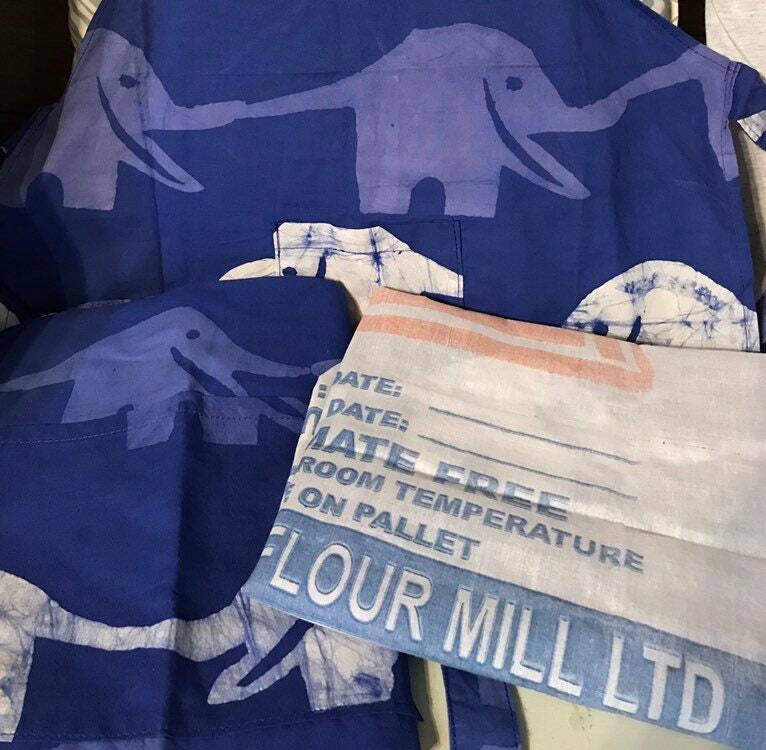 Adult Apron is lined with upcycled Flour Sacks. 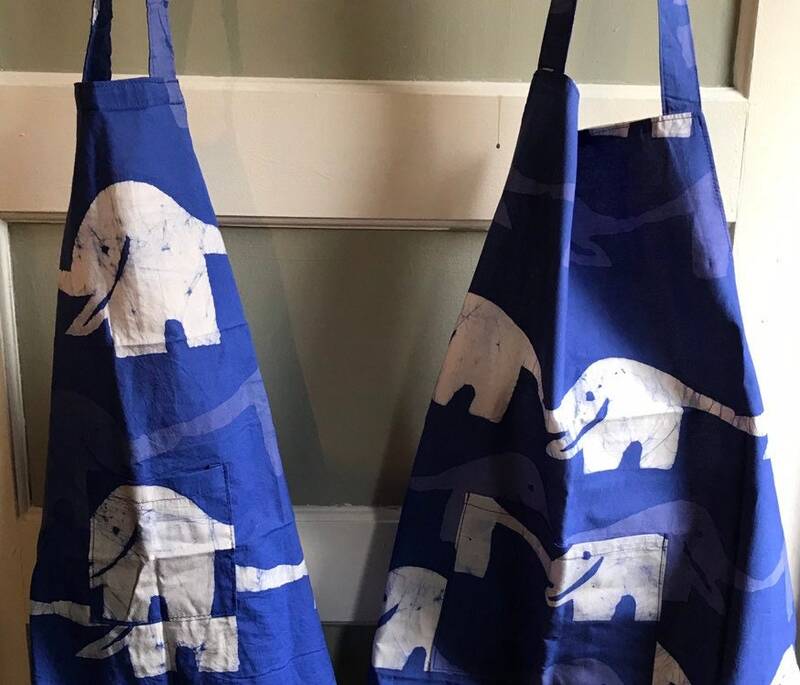 With each sale of these aprons, 10% of sale price will be donated to The Elephant Sanctuary in Tennessee to help provide care for the adopted elephants. Buy a set of a child & adult and save!